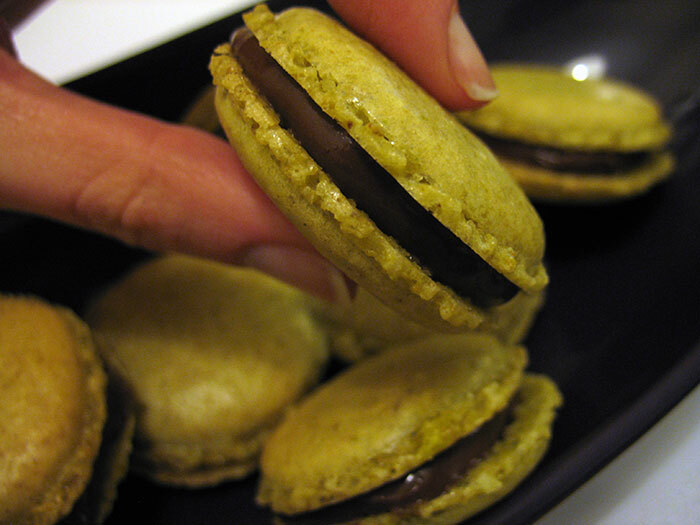 I used this pistachio macaron recipe from Use Real Butter who in turn modified it from Tartelette. As you can see they worked out extremely well! I got feet, a fairly green colour, a smooth top and my ganache set for once. This is the first time I have used colourings to tint my shells, having previously only used ‘natural’ colourants like coffee. I read that using liquid colouring could totally mess with the consistency and cause all sorts of problems, but thankfully Jen at Use Real Butter had already solved this problem. The solution? To add the liquid colouring to the granulated sugar first and leaving it to dry while you whisk the eggs. 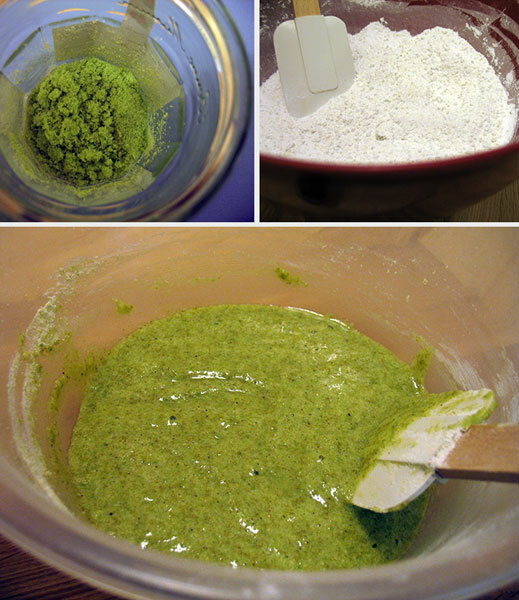 Grinding the pistachios was a little bit scary, as they became quite sticky I guess that’s why its a good idea to add almonds and icing sugar into the grinder too – and that’s definitely what I will do next time! 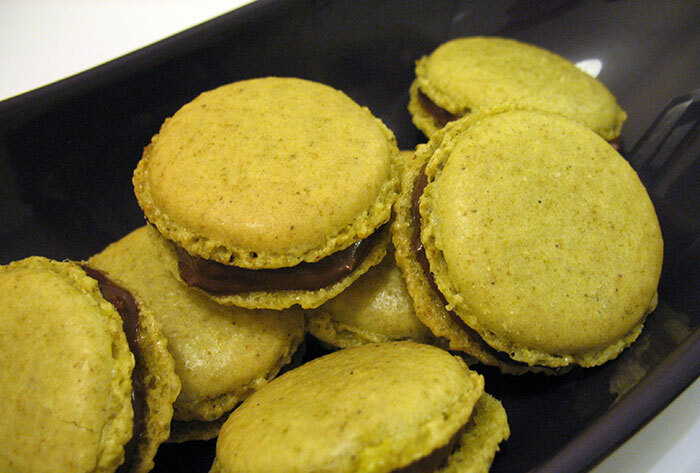 I have to say that I was a little disappointed with the flavour as I was expecting a strong pistachio taste but it was rather drowned out by the chocolate ganache. 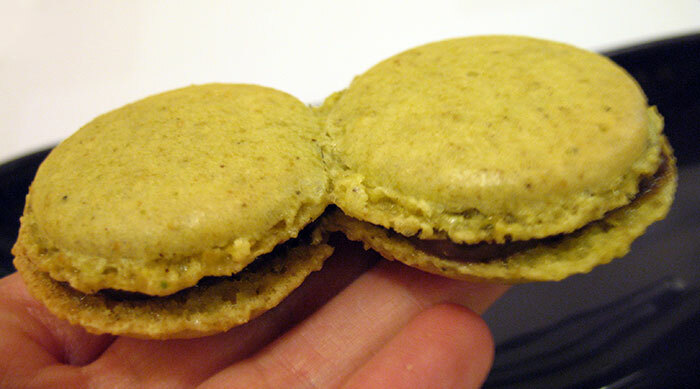 Maybe next time I’ll make a pistachio macaron with a pistachio ice cream filling, now that sounds almost too perfect.